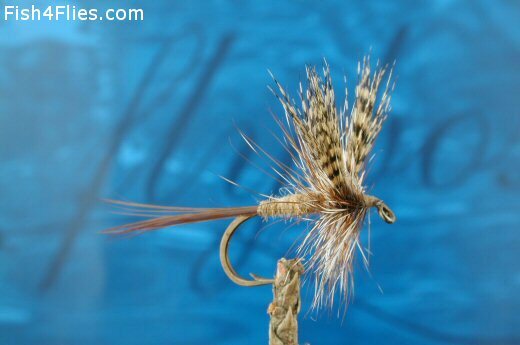 The American March Brown was devised for use in tumbling rivers, to better simulate the Stenonema Vicarium, an early mottled wing mayfly more robust than its English cousins. Hook : 8-10. XL shank sometimes used. Tail : Reddish brown hackle barbs. Body : Tan red fox belly fur. Wing : Heavily barred lemon wood duck flank. Hackle : Brown and grizzle mixed. An alternative for the wing is a bronzed mallard flank. Currently there are no comments about the American March Brown fly pattern from other fly fishermen yet.